was an accurate reflection of my life right now. 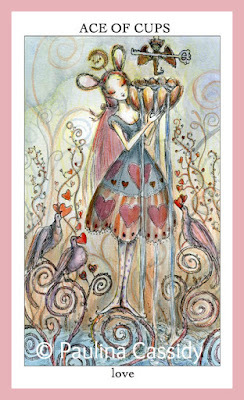 The picture on this card of the multi-handed Queen holding onto her heart while comforting her companion speaks to me. I'm trying to balance caring for my family, taking care of our home, feeding everyone good food, managing our finances, being a counselor to my husband and children with taking care of myself. It's not an easy thing to do, but one thing I have been getting better at doing is being gentle with myself when all of that caring doesn't look the way I once thought it should. The other day I told my husband that most days all I'm managing to accomplish is taking a walk, helping my youngest with her math, and making dinner. He gave me a hug and said, "That's a lot!" and it is a lot because the fact that I'm getting those things done means I have systems in place that I'm taking for granted. I'm accomplishing things that I'm not giving myself credit for. I couldn't make dinner if I didn't have ingredients in the house or if my kitchen were a mess or if I didn't have the energy to get it done, and that involves managing our money wisely, shopping for food, planning ahead, keeping up with dishes, getting enough sleep, yada, yada, yada, and so it goes with everything else I do for myself and others. 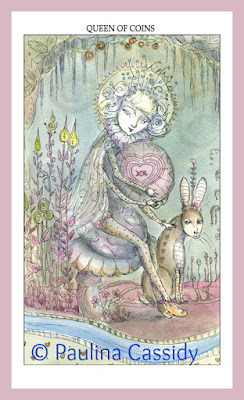 Yesterday's card was like a little nod, a pat on the back, acknowledgement that I'm doing okay. 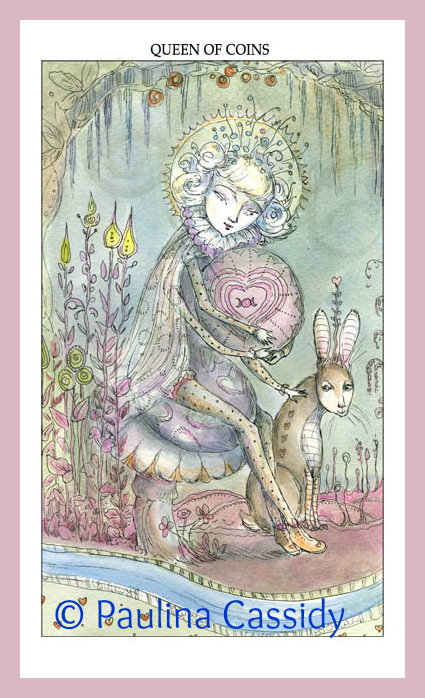 Today's card is reminding me to connect with my higher self. Another way I can take care of myself is to let myself receive divine love. It's essential for me, really, and while I'm working so hard on keeping order, if I don't let myself be still, hear the wisdom I have inside, and feel the love there, any peace I achieve through order will be fleeting. 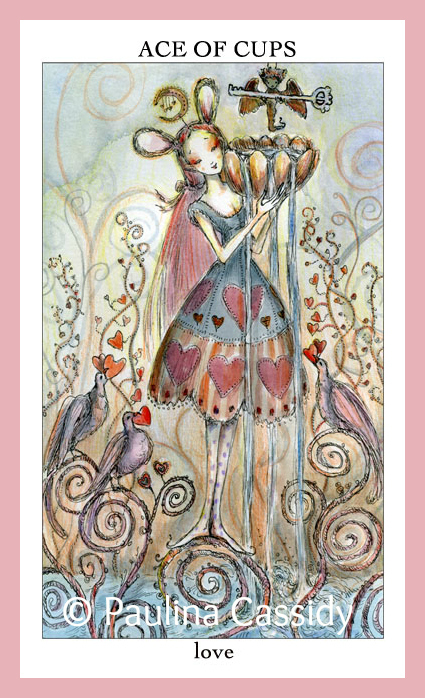 I love how the bird in the ace is bringing her a key to open the flood gates to Divine Love, so her cup will never be empty anymore. Peace of Spirit is everlasting whatever may happen! Oh, yes, Ellen! That's lovely!